The Peterson Center on Healthcare accelerates the adoption of innovative solutions that improve quality and lower cost on a national scale. New research examines specific strategies employed by accountable care organizations to manage care for high-need patients. To address risks posed to patients from chronic shortages and rising prices of life-saving generics, we have committed $10 million to help establish Civica Rx, a new not-for-profit generic drug company. Pete Peterson (1926–2018) established the Center to make higher-quality, more affordable healthcare a reality for all Americans. We carry on his legacy with passion and pride. 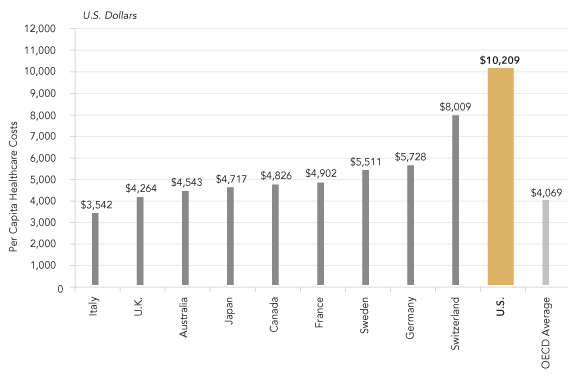 The U.S. healthcare system is the most expensive in the world, and our costs are projected to grow dramatically in the coming years. Yet, our health outcomes are worse than many other nations. Ineffective care puts our population through unnecessary treatments, leaves us in poorer health, and shortens our life expectancy. The high cost of healthcare makes everything in our economy more expensive, and reduces the resources that individual families and the nation have to invest in our collective future. Fostering the conditions to improve healthcare nationally. The Peterson Center on Healthcare collaborates with key thought leaders and stakeholders across the healthcare system, including health providers, consumer advocacy groups, health insurance plans, and major purchasers such as employers, states, and unions. 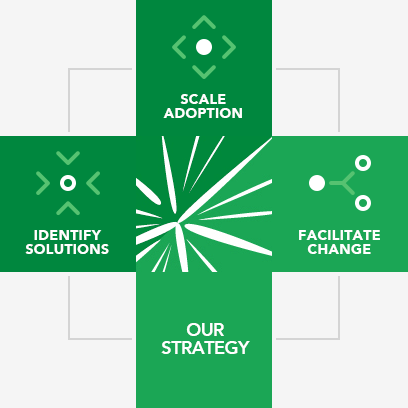 Our grant-making, partnerships, and research are focused on scaling innovative solutions that improve quality and lower costs on a national scale.